Download the Bible Study notes for Free. 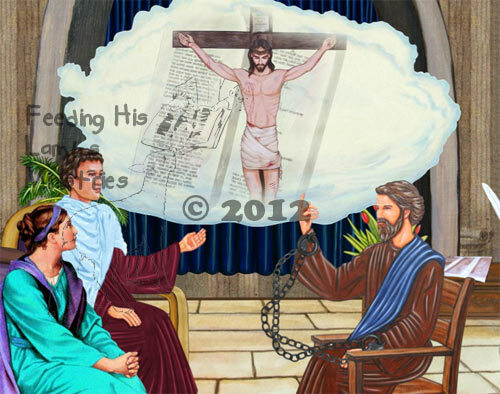 (Lesson YCQ4 48) This is lesson number forty eight of the third year in a three year series of lessons that cover the Bible starting in Genesis and finishing in Revelation. YA = Year A or Year number 1, YB - Year B or Year number 2, YC = Year C or Year number 3. Q1, Q2, Q3, Q4 represents the particular quarter the lesson falls into, and finally the actual number of the lesson corresponds to the week of the year 1 - 52.